ZOTAC International, a global innovator and manufacturer of graphics cards, mainboards and mini-PCs, today ushers in a new era of small form factor gaming PCs with the ZBOX EN760series, the ultimate mini-PC for demanding PC gamers. The new ZOTAC ZBOX EN760 series combines the phenomenal visuals of a NVIDIA GeForce GTX 860M graphics processor with the outstanding processing power of a 4 th Generation Intel Core i5 processor to create a mini-PC capable of stunning 1080p gaming. An NVIDIA GeForce GTX 860M with 640 processor coresand 2GB of GDDR5 video memory is at the heart of the ZOTAC ZBOX EN760 series to give it enough graphics power to keep up with much larger gaming PCs. The ZOTAC ZBOX EN760 series supports the latest game-changing NVIDIA technologies including GeForce Experience, GeForce ShadowPlay, Adaptive VSync and GameStream. There is plenty of expansion capabilities with the ZOTAC ZBOX EN760 series with a 2.5-inch SATA 6.0 Gb/s drive bay, mSATA 6.0 Gb/s slot, two DDR3 SO-DIMM slots and four SuperSpeed USB 3.0 ports. Intel Smart Response Technology enables the ZOTAC ZBOX EN760 series to accelerate the performance of traditional hard disk drives with an mSATA SSD up to 64GB for the perfect blend of lightning-fast SSD responsiveness with the large storage capacity of an HDD. 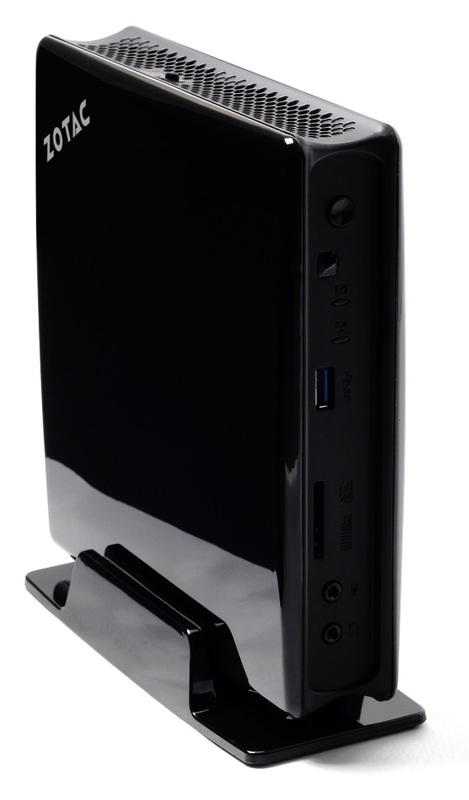 It’s time to play with the ZOTAC ZBOX EN760 series mini-PC!